Dimensions 1 by 9.20 by 6.10 in. 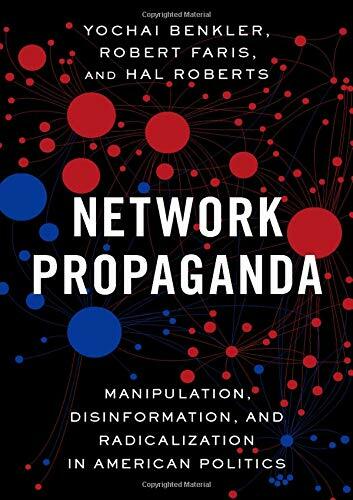 Computational Propaganda: Political Parties, Politicians, and Political Manipulation on Social Media (Oxford Studies in Digital Politics) | The Misinformation Age: How False Beliefs Spread | Cyberwar: How Russian Hackers and Trolls Helped Elect a President What We Don't, Can't, and Do Know | LikeWar: The Weaponization of Social Media | Antisocial Media: How Facebook Disconnects Us and Undermines Democracy | Custodians of the Internet: Platforms, Content Moderation, and the Hidden Decisions That Shape Social Media | Master or Slave? Amazon.com description: Product Description: This is an open access title available under the terms of a CC BY-NC-ND 4.0 International licence. It is free to read at Oxford Scholarship Online and offered as a free PDF download from OUP and selected open access locations. The authors argue that longstanding institutional, political, and cultural patterns in American politics interacted with technological change since the 1970s to create a propaganda feedback loop in American conservative media. This dynamic has marginalized centre-right media and politicians, radicalized the right wing ecosystem, and rendered it susceptible to propaganda efforts, foreign and domestic. For readers outside the United States, the book offers a new perspective and methods for diagnosing the sources of, and potential solutions for, the perceived global crisis of democratic politics.